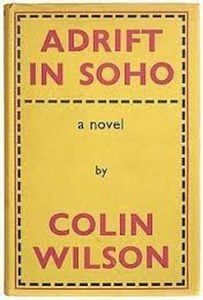 Bookwise Goose Gate was delighted to host the film crew of Adrift in Soho a while back, for a couple of scenes demanding a ‘retro’ bookshop setting. Lots more Nottingham locations feature in this acclaimed independent film of the 1961 cult novel by Colin Wilson. Free viewing at 12 noon on 19 November at the Broadway Cinema – make sure you book ahead – asap. Since the filming, Bookwise has grown bigger and even better of course – come and see. This entry was posted in Nottingham. Bookmark the permalink.